President Vladimir Putin talks about Edward Snowden, US President Donald Trump and much more in an interview with filmmaker Oliver Stone. He could be just another Moscow commuter driving home from the office. Except that's President Vladimir Putin behind the wheel as filmmaker Oliver Stone quizzes him on the fugitive Edward Snowden in a scene from his new documentary on the Russian leader. The unusually smooth car journey through Moscow's normally traffic-clogged streets isn't the only strange moment in "The Putin Interviews," the Oscar-winning director's four-part documentary. While Putin expounds on favorite subjects including U.S. geopolitical overreach, he's also shown staring stone-faced at the classic Cold War doomsday satire Dr. Strangelove. He explained that he never has an off day as president because he's a man. "I am not a woman, so I don't have bad days," he tells Stone while giving a tour of the Kremlin's gilded throne room. "I am not trying to insult anyone. That's just the nature of things. There are certain natural cycles." The director of "JFK" and "Wall Street" enjoyed extensive access to Putin for numerous meetings from July 2015 to February 2017, giving viewers a peek into the life of one of the world's most powerful and secretive leaders. The first two hour-long episodes of the Showtime special that airs June 12-15, which were made available to Bloomberg before their release, offered little that's new about the former KGB agent who's ruled Russia for more than 17 years. The documentary follows on the heels of Putin's interview in this week's debut of NBC News' "Sunday Night With Megyn Kelly," as controversy swirls in the U.S. over alleged Kremlin meddling in the 2016 presidential elections and ties to President Donald Trump. Former FBI Director James Comey, who was fired by Trump last month, is due to testify to the Senate Intelligence Committee on Thursday about investigations into the allegations. Trump has dismissed the claims as "fake news." On the former National Security Agency contractor, Putin told Stone that "our first contact with Mr. Snowden was in China," as he explained that Russia offered asylum because "we were told back then that this was a person who wanted to fight against violations of human rights." Elsewhere, Putin is shown indulging his now-familiar passion for playing ice hockey, and flexing his muscles on an exercise machine. He told Stone that he lifts weights and then swims every day. Putin is also seen feeding carrots to a thoroughbred horse named after Dutch theoretical physicist Johannes Diderik van der Waals at his residence. Throughout, the three-time Oscar-winner uses an interview style that allows the Russian leader to set the tone, while the documentary avoids fact-checking Putin's remarks or interviewing opposition figures. At times, it's the Kremlin leader that seems to be the voice of moderation. Stone, who's previously made films lauding the late Venezuelan President Hugo Chavez and Cuban leader Fidel Castro, asks, "is Wall Street actively working to destroy the Russian economy in the interests of the United States?" Putin demurs, saying only that the U.S. Administration views Russia as "a competitor." In the barest hint of criticism, Stone also asked Putin if a law passed in 2013 outlawing gay propaganda to minors meant homosexuals faced discrimination. "There are no restrictions whatsoever," Putin said, contrasting Russia with some Islamic states where he said gays face the death penalty. But asked if he'd take a shower in a submarine next to a gay man, the Russian leader replied, laughing: "Well, I prefer not to go to the shower with him. Why provoke him? But you know, I'm a judo master." 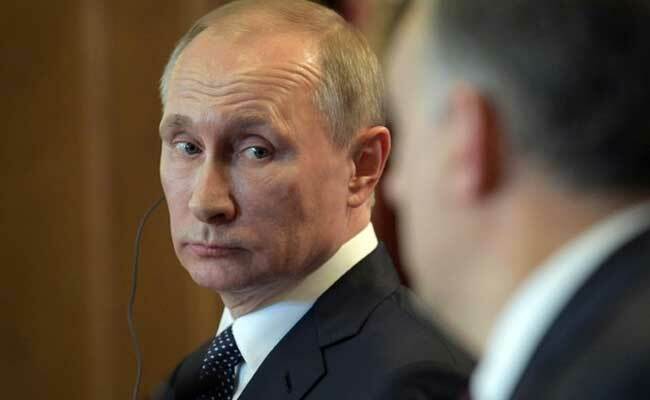 While Dr. Strangelove apparently left him unmoved, Putin became more animated discussing what he sees as modern-day challenges to the nuclear theory of mutually assured destruction, particularly the U.S. program to develop a missile-defense shield. "As of today a missile shield would not protect the territory of the United States," he tells Stone after the director points out that it was U.S. Independence Day. "Nobody would survive" a war between nuclear superpowers, he said.